Hello all! I know I have been unusually absent these past few days, but I am on a “me”-cation. I am back up in Colorado visiting my friends for the week. I know it may be strange that on my summer vacation I decided to head back to my college town, but I have really grown to love the summers up here. 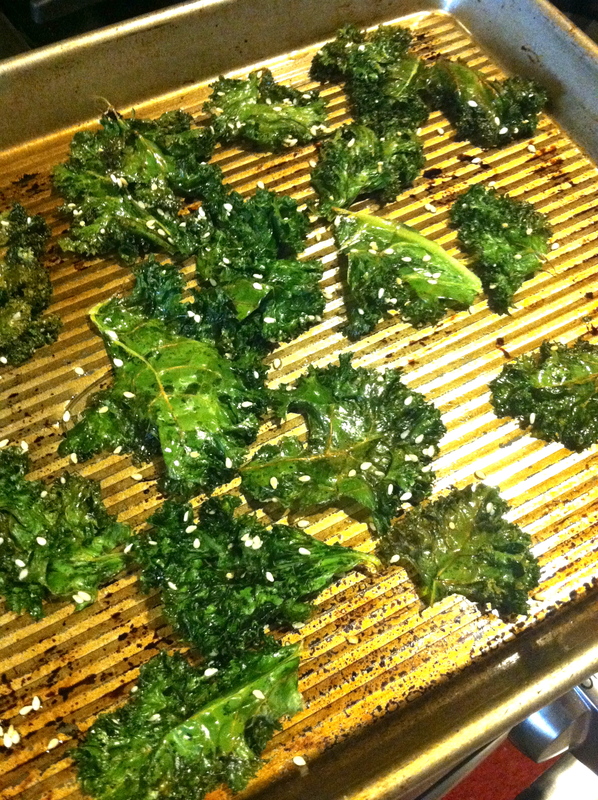 I will post about my adventures and such in a longer post when I get back in Texas, but for now, here is a recipe for Sesame Kale Chips I made before my trip up here. I was trying to clean out the fridge of produce and I had a lot of kale left over from my smoothie ingredients. 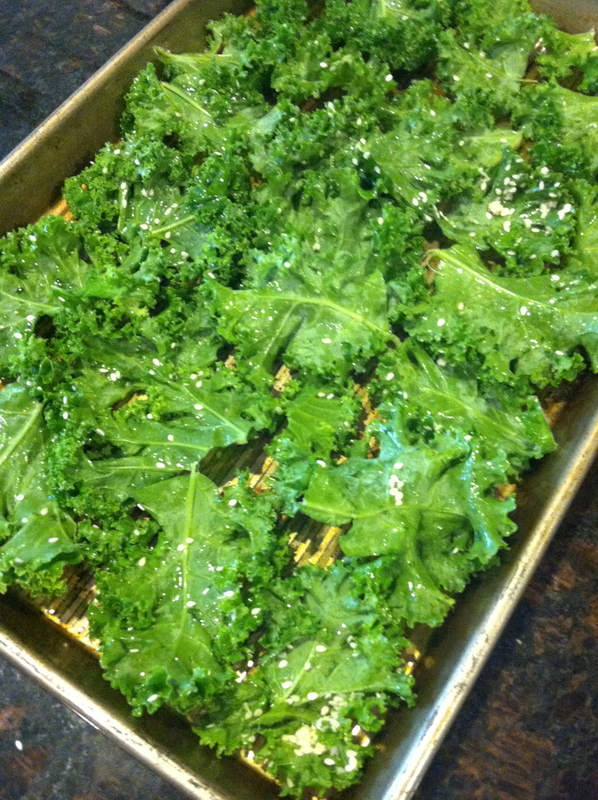 I decided on kale chips because they have all the glory of a potato chip except exponentially healthier. ♦ 6-9 cups of organic kale Combine all ingredients in a large bowl and toss together. Lay the leaves flat on an oiled baking sheet without overlapping each other. Put them in the oven at 375°F and bake for 10 minutes. After about 5 minutes (half time), I took out the chips and flipped them over to bake for the remaining 5 minutes. They do shrivel up, so that is why I use a lot of kale when making these. They are so scrumptious. The best healthy version of a chip: green, crispy, light, and baked!